I wanted to share this picture with you just because it makes me happy. Who wouldn’t want a dinner party that looks like this? So festive! Holy moly, that’s a lot of balloons!! 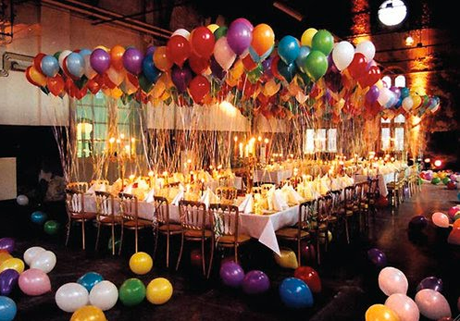 Did the author of this pic say how many balloons were used in that setting?